We'll leave the link open for a couple of weeks in case you want to do it sometime this week or next. Come back in the next few weeks to check out the next set of questions for September! Or look on our IG account, we'll post it there too. 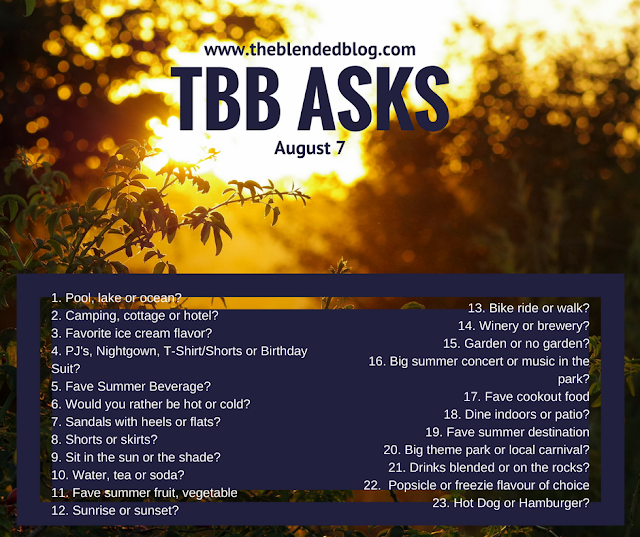 Here are what the other TBB ladies are answering. Next Month's theme is School and Routine related. Mark your calendars for September 4th and join us then!! I want to be domestic, but sometimes am a little too left brained. I'm trying to bring out my right side, here's my journey to do that.